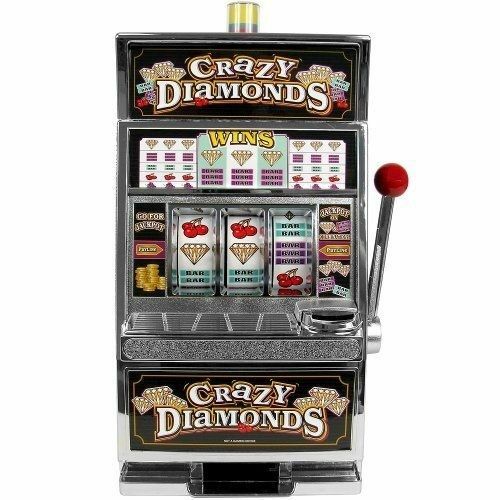 Title RecZone Crazy Diamonds Slot Machine Bank with 100 Tokens. 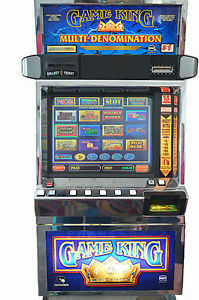 Brand RecZone. 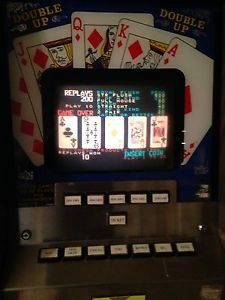 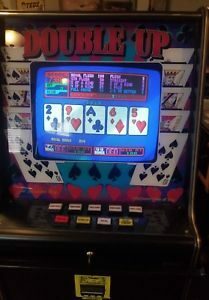 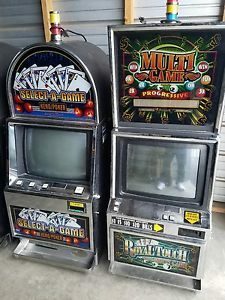 This large scale replica slot machine comes with casino sounds, flashing jackpot light and chrome trim and 100 tokens. 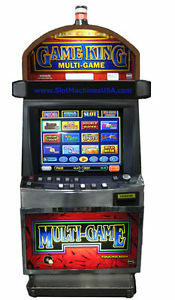 This large scale replica slot machine comes with casino sounds, flashing jackpot light and chrome trim and 100 tokens. 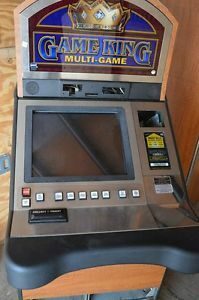 It also doubles as a bank with separate savings section and accepts 98% of world coins. 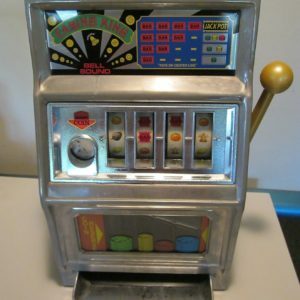 Features: 100 stamped steel tokensWide spinning reels Jackpot bell sound Chrome bevel and tray Flashing light Accepts 98% of world coins Manual and jackpot coin returns Requires 2 “Aa” batteries for light and bell- not included Product Dimensions: 6 inch x 8.75 inch x 15 inches tall.